Liquid Rhythm features an exciting new integration system for Ableton Live users working with Ableton Live clips. Liquid Rhythm’s powerful MIDI sequencing and editing tools can be used to create and remix MIDI patterns directly in Ableton Live clips with Max For Live. Watch the video below for a complete overview. 1) Drum rack channel names and MIDI notes in the clip are automatically loaded into Liquid Rhythm. 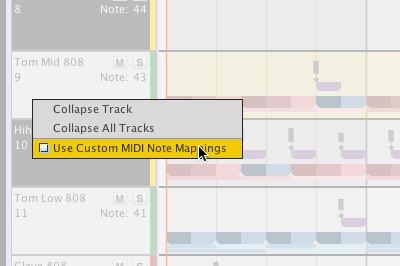 2) All pattern creations and note edits are automatically pushed into the Ableton Live clip in real-time. This allows for a seamless integration of Liquid Rhythm’s powerful MIDI editing tools into any existing Ableton Live production and performance workflow. – Speed up the creation of rhythm tracks in Ableton Live clips. 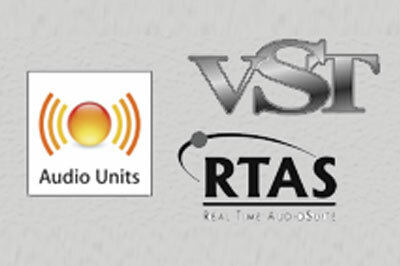 – Integrate with Ableton Drum Racks. – Create and remix MIDI patterns in Ableton Live clips. – Implement your rhythmic ideas into the MIDI clip piano roll instantly. – Build beats entire bars at a time. – Use your own samples to create truly original beats. – Experiment with variations and alternatives to your drum patterns, all in real-time. 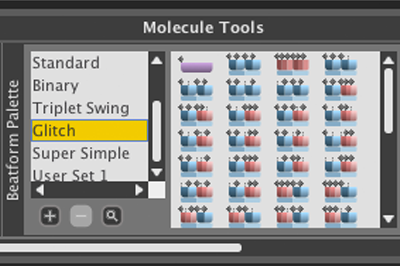 – See relationships between notes in your MIDI clips with Liquid Rhythm’s Music Molecule MIDI visualization technology. This integration is only available when using Liquid Rhythm with Max For Live in Ableton Live 9 Suite. Additionally, Max for Live 5 is required for Ableton Live Clips Editing.